YOUR GUARDIAN ANGEL IS WAITING FOR YOU!!! PP : Have you always believed in the existence of Guardian Angels? Mrs S.P. : Not at all. You know I’ve always been a bit of a cynic and until around 5 years ago I would never have believed in such a thing. PP : But what happened to make you change your mind? Mrs S.P. : Five years ago, on the 20th of November, on a very foggy night, I was driving along a country road. Visibility was dreadful and it was beginning to rain. I must admit I was really driving too fast, but I was tired and just wanted to get home. Suddenly, I heard a voice in the car cry, “No, stop!” and at the same time I felt my brake pedal slam to the floor and my steering wheel was wrenched to the right. A couple of seconds later a huge truck that had come to a stop and was blocking 3/4 of the road loomed out of the fog. If that force hadn’t taken over my car I would have crashed into the back of that truck and wouldn’t be alive to tell this tale. As it was, I didn’t have a scratch. PP : What happened next? Mrs S.P. : Well, I was pretty shaken by this experience and I spoke about it to one of my friends, who told me she had been through a similar thing. She had been in a 11th story apartment with her little daughter who was playing on the terrace, when suddenly she heard a voice tell her to get her daughter inside at once. Without thinking, she ran to the terrace and literally pulled the little girl inside. A few seconds later a sheet of glass that separated this terrace from the neighboring apartment crashed down into the place where Laura had been playing. She would have been slashed by shattered glass and perhaps killed by its weight. From that time my friend has relied on that voice — her guardian angel — and she told me that I should realize mine was there to guide and protect me too. He had come through the warp for me that night and would help me always. I only needed to know how to ask him. PP : So what did you do? Mrs S.P. : My friend told me how to find him and communicate with him. How to show him I loved him, so he would stay with me. PP : Will you share your knowledge with us? Mrs S.P. : Of course. First you must learn your guardian angel name. This will depend on your birth date. Then you need to recite sincerely the incantation prayer dedicated to him. 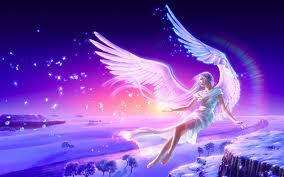 The guardian angels are so happy to be loved, yours will be your true friend. PP : Has he made a difference to your life? Mrs S.P. : Oh, you can’t imagine how my life has changed! The first time I called to him I felt enveloped in a great stream of love, wrapped around me in a spiral. I then understood how happy he was that I could recognize him and call on him. PP : Has he always helped when you have asked him to? Mrs S.P. : Yes, absolutely. And also sometimes when I don’t realize I need help, like in the car that night; it’s like having a beautiful shield around you. I feel so safe. But you must remember to thank him and also contact him even when you don’t need something; after all, he is my best friend, not just a safety belt! You mustn’t be selfish; that’s not fair. PP : Can you give us some examples of ways he has helped you? Mrs S.P. : There are so many . . . once we were having a really tough time in the family, Peter’s business was failing and the bank was calling in the loan on our house. I had never wanted to ask my guardian angel for financial help, it seemed to be greedy. But I was so desperate, so I did ask, and I heard the response “jumping frog,” but I couldn’t understand. I thought I had upset him, and I called for him again, but all I heard back was: “jumping frog” I was beside myself. I thought I had lost my guardian angel. Then, later that afternoon, I was going through the newspaper looking for a job, cleaning or anything, just to help us, and on the sports page I saw a horse called “Jumping Frog” running that day. Without telling Peter, I pawned my engagement ring for $700 and put it all on “Jumping Frog” at 150-1. I nearly burst when he came in first. All our problems were solved and in gratitude I vowed to my guardian angel that I would help everyone else get in touch with theirs. He was pleased with this promise. Another time he helped me when I was in trouble at work because some equipment had disappeared from a cupboard to which I had the only key. My boss thought I was to blame. I asked my guardian angel for help because I was innocent. Two days later another employee was passing my boss when she dropped her purse, and out of it fell a duplicate key she had made to the equipment room. He saw it and understood that she had taken the things, not me. I thank my guardian angel for that. After all he had gotten my boss to where she dropped her purse. PP : Those stories are very impressive, we’re sorry we don’t have space for more. But tell us, are you now happy in your life? Mrs S.P. : What can I say? I feel I am blessed, I am so very happy and complete. The only regret I have is that I wasn’t in touch with my guardian angel before. He would have helped me avoid so much unhappiness and so many mistakes! If, like Mrs S.P., you would like to get to know your guardian angel don’t delay a moment longer. Contact askthespirit so we can guide you through the steps to take. Contact us on our “Age of Aquarius” site, subject “Angels” now. On the other hand, if you want to tell us of your experiences or have a question to ask our learned specialist, leave us your details. Your guardian angel is waiting for more than a sign from you before coming to you. He is waiting for you to show his presence and to pray to him sincerely so that he can come to be your guide. Your guardian angel needs you to call him through prayer so that he can help you. A prayer is supernatural act of love which by the balance of its words is the cosmos reverberates to raise human existence. The prayer will permit you to contact the higher spirits to talk with them and unload your daily problems. The prayers will help you receive the higher spirits into yourself and tap into the powers and gifts that will help you progress spiritually and materially. 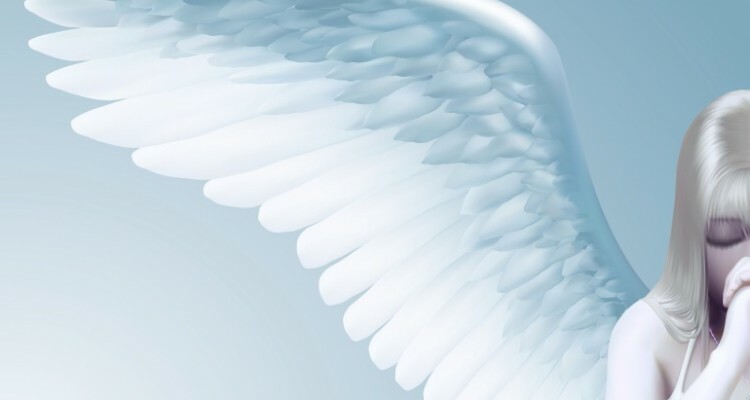 All you need do is compose a prayer with our help, which will touch your guardian angel and inspire him to act to your complete and utter satisfaction. The great laws provide that your guardian angel must help you particularly if your requests concern your spiritual and material well-being. Through your prayer your human soul become like a great antenna, through which your guardian angel can transmit his light and power. You will be linked to your guardian angel each time you recite his prayer, and you can call on him and ask him to intercede for you with all the other guardian angels in the heaven. His rationale is to grant you all that you ask of him.